I saw the preview of this movie, and I knew I had to own it. My high school students wanted to watch it as well, so as soon as I saw it out in stores, I grabbed a copy. Ysabela and I ripped the package open, grabbed some snacks and got the party started. So far she has seen it four times. In one week. Guillermo del Toro directed the movie, and the voices were spot on. I was surprised to hear Ice Cube’s voice! It was quite unexpected (yet perfect). The animation and graphics were phenomenal, and the songs were catchy. Now I have one more awesome resource to use for Dia de los Muertos. Day of the Dead is my favorite holiday, and I set up an altar in my classroom. My grandparents’ pictures are always there. Sometimes I put pictures of pets I’ve lost over the years as well. After all, the altar is there for loved ones who are no longer with us except in spirit. Students are also welcome to add pictures to my altar. We do several activities for Day of the Dead like decorating sugar skulls, but I digress…. I took the movie to school the next day so my students could enjoy it, and they did! 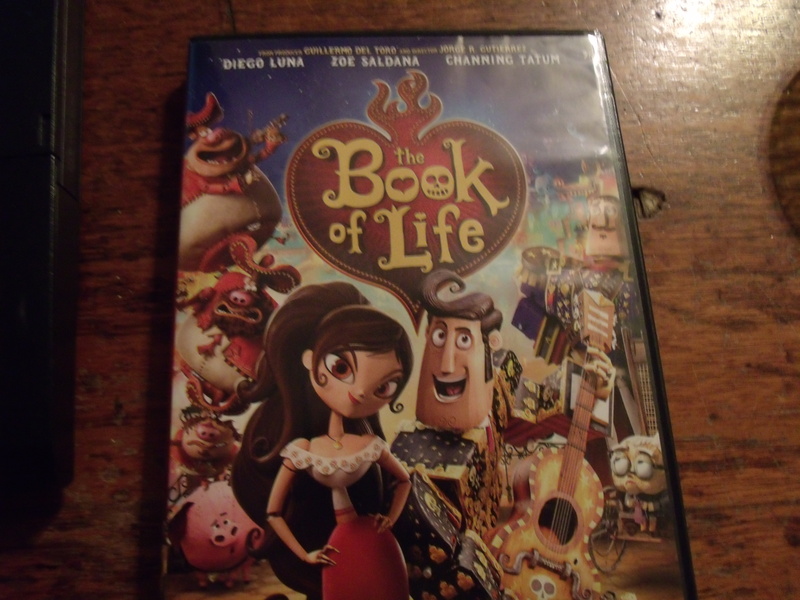 If you haven’t seen The Book of Life, you had better grab a copy! It’s a keeper.